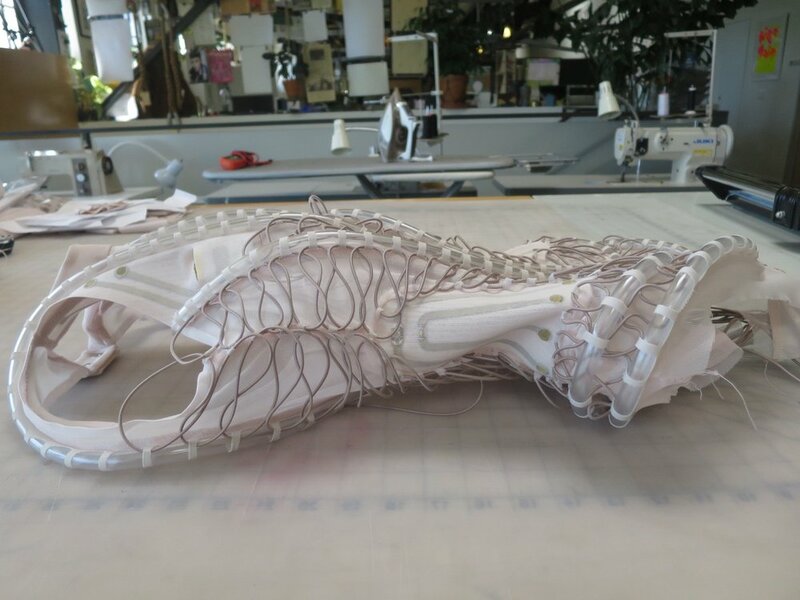 Second skin is an ongoing project addressing the body as a canvas for technology. 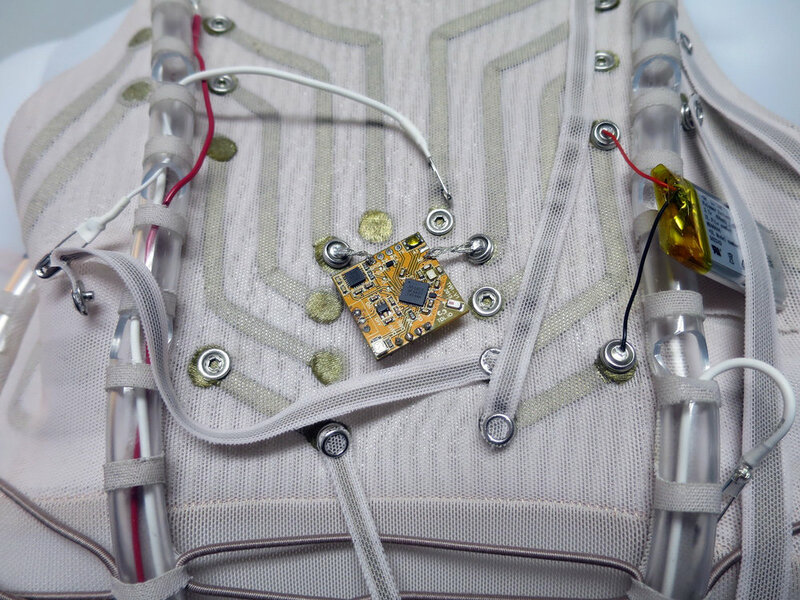 An exploration of eTextile stretch circuits and their implementation in a functioning full body garment as a rapid prototyping shell. 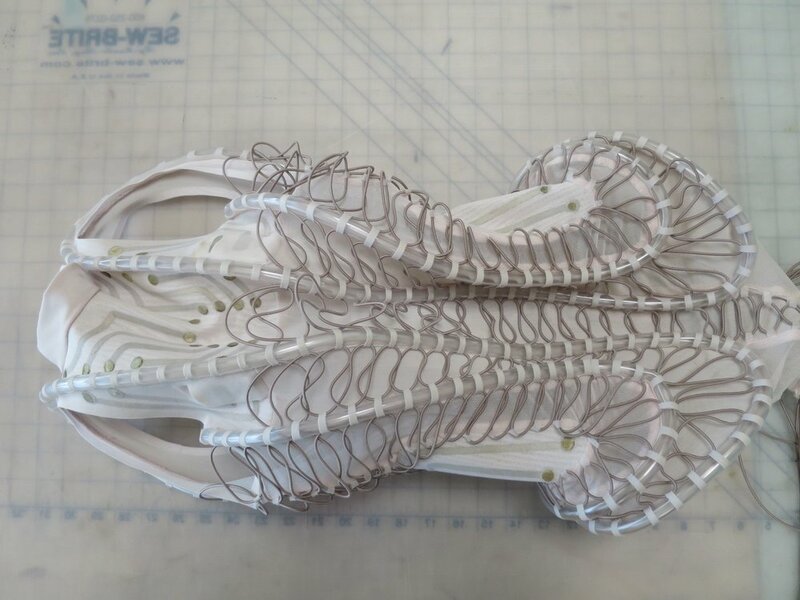 Combining housing for traditional electronics and using developing materials and techniques in sportswear technology, this open source project will create and demonstrate techniques which illustrate a format to develop eTextiles which is replicable on both a craft and manufacture level. 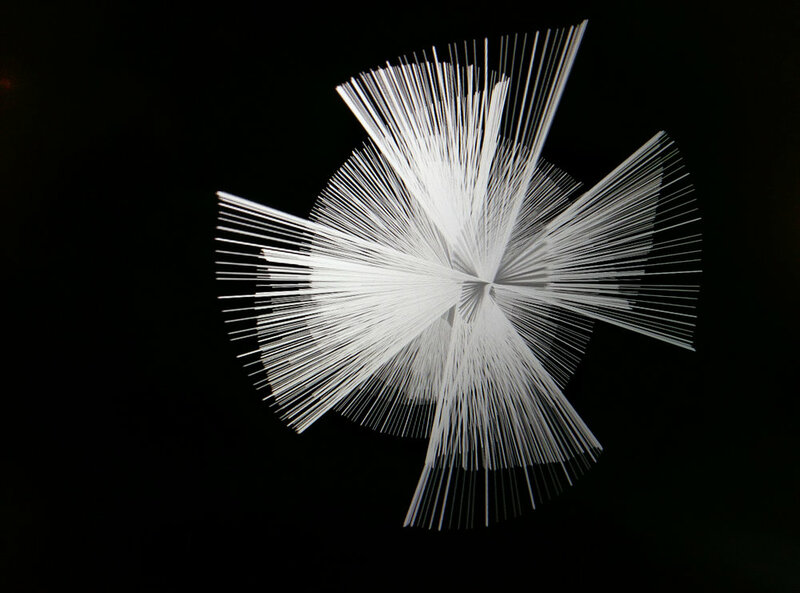 Inspiring and facilitating designers to explore new directions in bonding and stretch materials has the potential to further innovation in a new area of material development which can be scaled in an accessible way from boutique production to large scale manufacture. The aim is bridge the often frustrating disconnect between prototyping, making and manufacture in the textile industry and create viable, provocative examples of garments on both a design and material level. Aesthetics, functionality, comfort and ubiquity play equal roles in our acceptance of technology as an extension of the self. 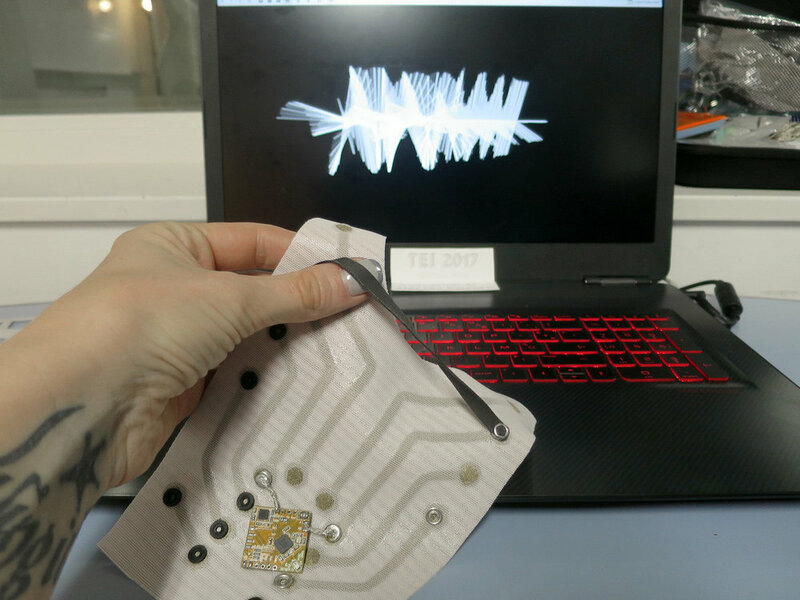 eTextiles serve as a storytelling bridge to biotechnology as well as an exciting tactile and understandable way to integrate wearables into our everyday lives. Fashion designers use pattern cutting to define and control the silhouette. Tailoring, pattern cutting and other traditional techniques can be innovatively used for their ability to facilitate strain relief. A four way stretch lycra/microknit suit can encase cables as long as they follow seams which snake carefully around the body to allow for stretch. 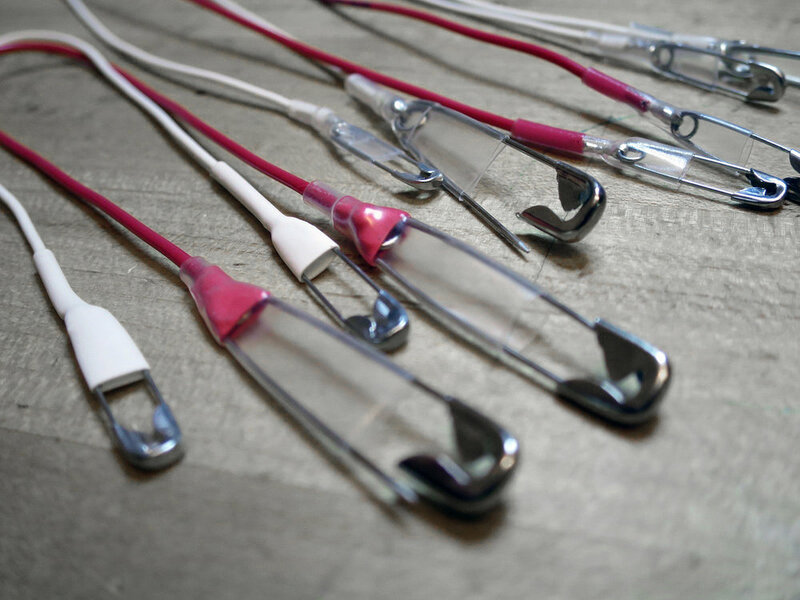 Conductive materials bonded into super fine knits can bridge gaps where cables would make this impossible. Second Skin applies this logic to layers of neoprene tubing and bonded conductive materials. Physical performers need full body movement, stretch garments and electronics that can withstand pressure and are protected to not break or hurt on impact. Designers have always embellished the human silhouette to empower the wearer. Second skin enhances the body using practical applied technology as the silhouette. 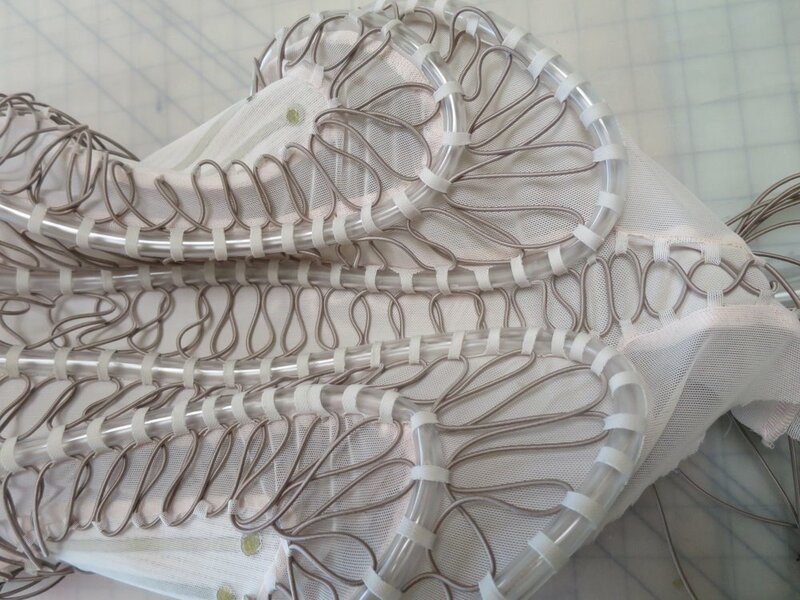 As soon as they are ready, finished tested garment patterns, lazer cutting files, circuitry designs, material details, purchase links and step-by-step documentation will be uploaded with open source licensing.